Some exiting news for amusement park lovers and kids who like construction equipment (what boy doesn’t?). 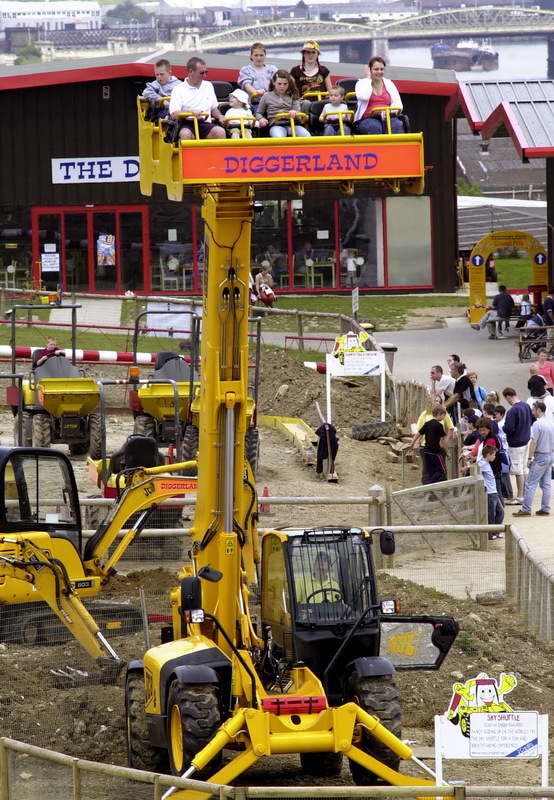 The first American Diggerland park is being build in South Jersey, and if all goes well, it should open early this summer! It’s being built in West Berlin by Sahara Sam’s Oasis (next to the waterpark), and it will featured construction-related rides, as well as a lot of diggers, from miniature to full size, that kids and their parents can operate, drive around or even race! The owners and senior management of Sahara Sam’s Oasis are quickly gaining industry recognition for their year over year capital expansions, evolution, and success. 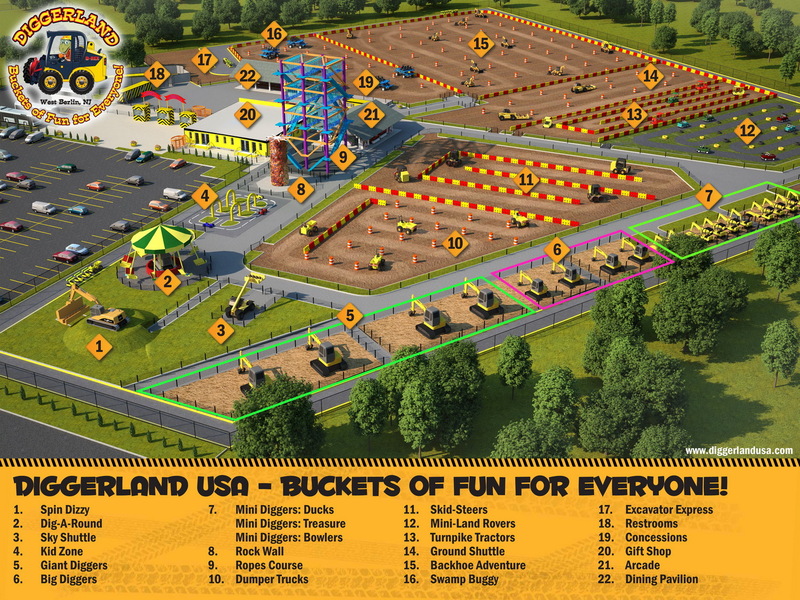 Their latest surprise unveiled plans at a January 14th press conference to construct Diggerland USA, a construction themed adventure park where children and their families drive, ride, and operate heavy machinery in a safe family-friendly environment. Sahara Sam’s will again set the bar for amusement innovation as Diggerland USA becomes the first park of its kind in North America. 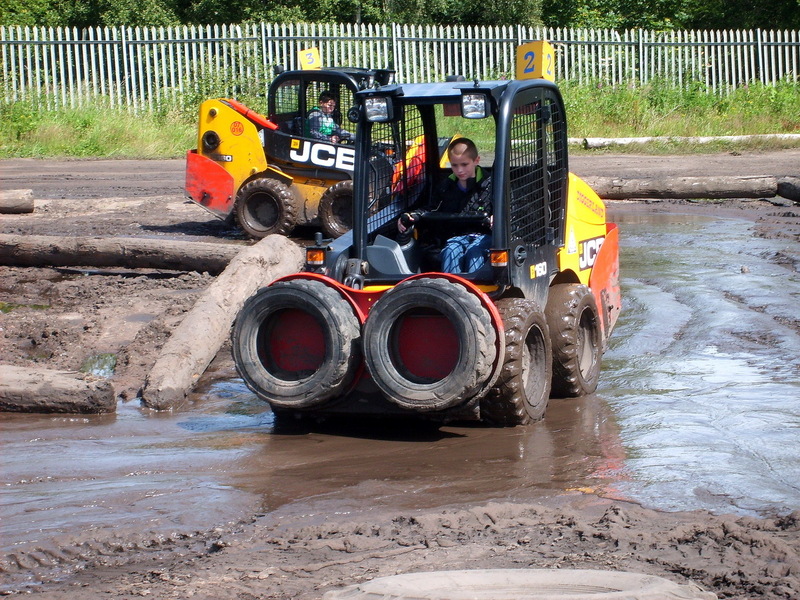 Four Diggerland Adventure parks currently exist in the United Kingdom. The new theme park site is centrally located behind the existing indoor and outdoor water park in West Berlin, NJ. The facility footprint covers 14 acres and will feature over 23 attractions, all slated for an early summer 2014 opening. The majority of the attractions are comprised of modified JCB heavy construction equipment pieces. 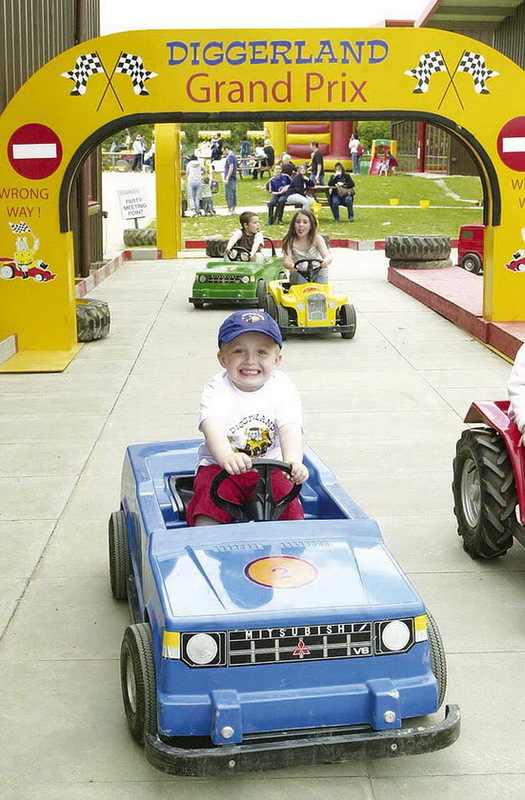 The rides have been engineered to allow parents and children the ability to safely operate the machines by themselves or together – digging, driving, and riding. 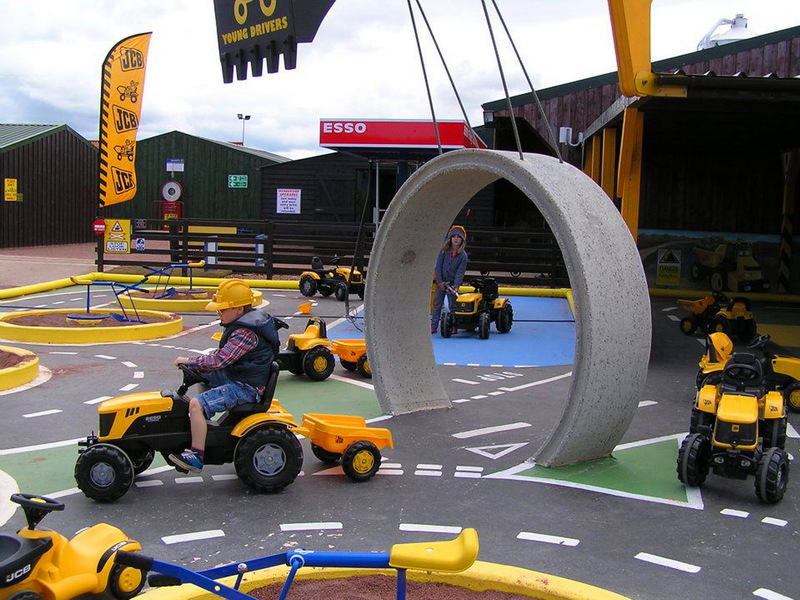 Diggerland incorporates the hands on operation of machinery for the entire family. Children and parents alike have the opportunity to drive skid-steer loaders, backhoes, tractors, mini dumpers, and small excavators. All the equipment has either been modified for use on a course or made stationary by design for operation in designated excavation areas. 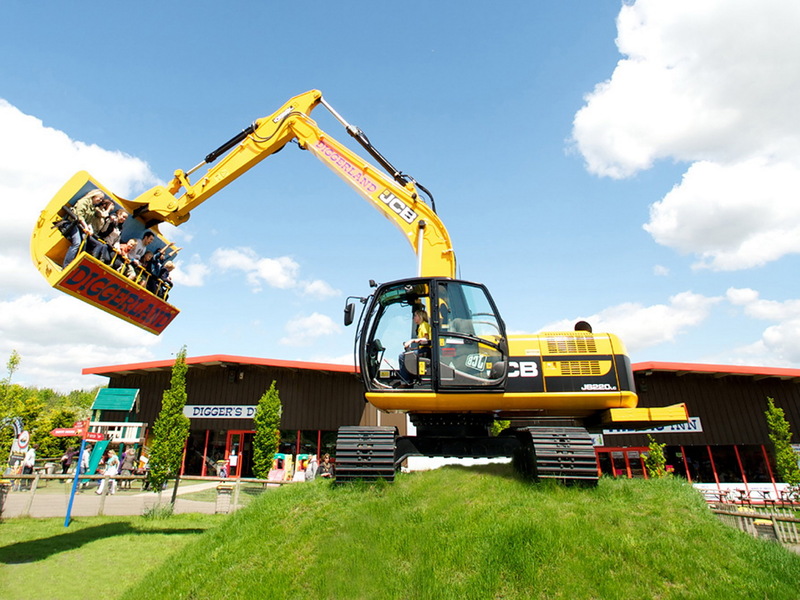 An amusement engineering marvel and staple attraction for the park, Spin Dizzy, booms the arm of a 20 ton JCB JS220L excavator up and down while spinning in circles with 8 passengers harnessed into the seats of a modified bucket attachment. 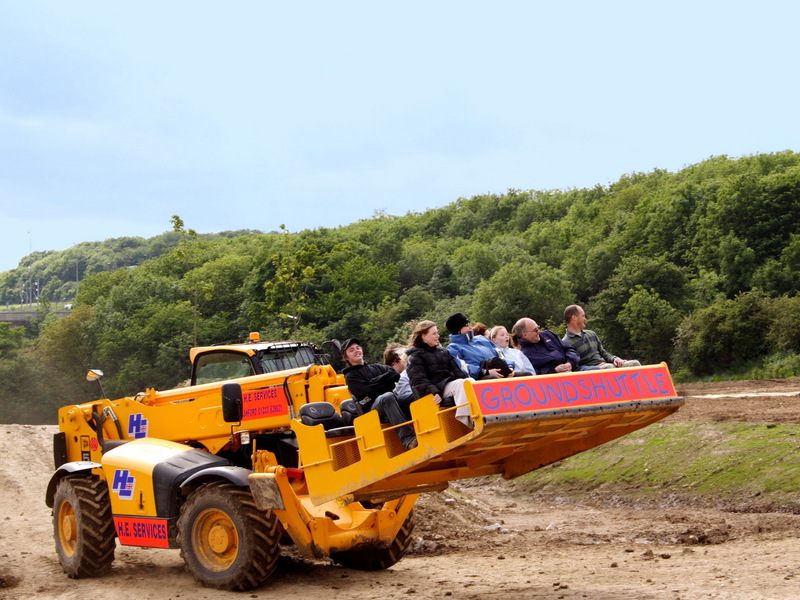 In The Backhoe Adventure, 4 riders and a ride marshal climb aboard the cab of a modified JCB 3CX backhoe for a mystery tour while taking turns behind the wheel of the machine. Other attractions include rock climbing, multiple train rides, a ropes course, an arcade, and a swamp buggy attraction. Smaller guests will enjoy the playground equipment in the Kid Zone, or may opt to take a ride up on the Sky Shuttle, a JCB 540 Telehandler capable of moving 15 guests at a time 5 stories into the sky. Diggerland USA anticipates a 9 month operation schedule based on seasonality and will run into December with weekend and holiday events. Admission costs are expected to come in-between the twenty to mid-thirty dollar mark for a full day ticket. 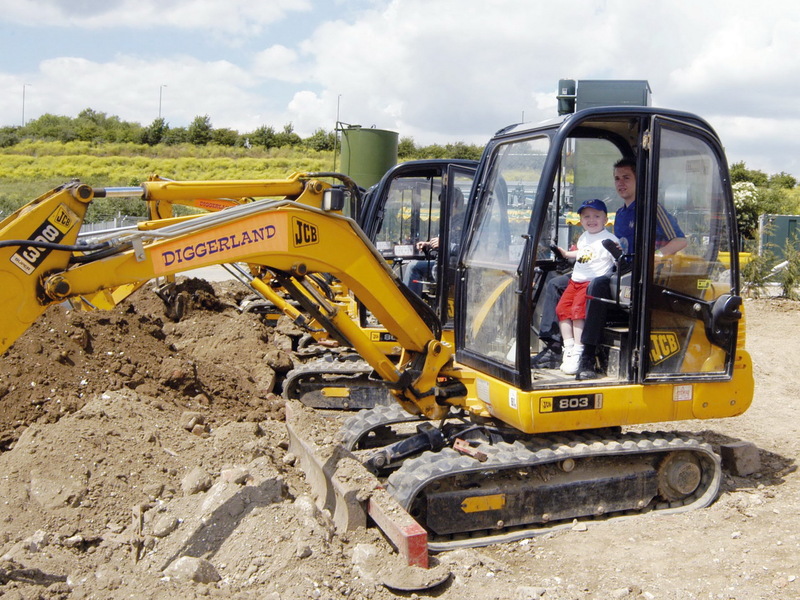 Diggerland tickets will be capacity controlled and date specific to maintain comfortable queuing times and ensure a pleasant experience for all guests. 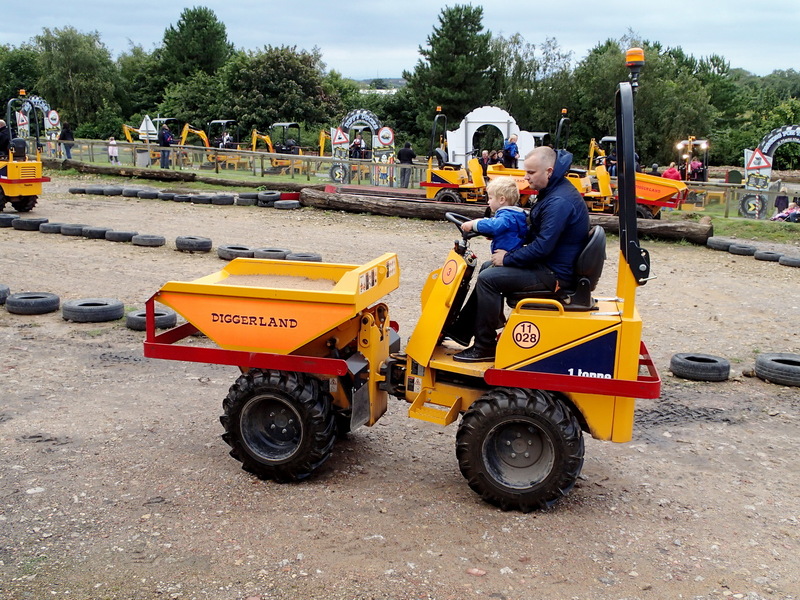 Beyond daily admission, Diggerland expects to draw significant attendance from group bookings, corporate retreats, company picnics, and children’s birthday parties. very cool , can’t wait to take the grand kids! Awesome. Finally a different kind of park. My grandkids are fascinated with construction equipment. Can’t wait to visit this new and exciting park. Sounds like a GREAT place. Can’t wait to take our 2 grandsons. OMG!!! Will need to book it now! My 2 year old son wants to go now!!!!! Looks like a great place to take my 2 grandsons!! took my 2 year old grandson only half of the rides was he tall enough, not for toddlers no miniature toddler size equipment, no sand for him to play in, in the sun no shade for 2 month old granddaughter, no water fountains or soda machines as you walk throughout the park, no toddler rides and it is expensive for the limited number of rides he could go on, this is for 4-10 year old park. all the rides are at least 48 inches, some rides are 42 inches, if they are 36 inches they can sit on you lap go when it is cooler . if you can leave babies in strollers home if you go in the heat of the day. despite what they say bring water in. food ok, store has reasonably priced item $10 and up.